That is all we can say. What an incredible morning! The 8th Annual Spirit of Chrysalis Gala Breakfast in Edmonton was a tremendous success on the morning of June 2, 2016. The Breakfast was held at the DoubleTree by Hilton West Edmonton. Guests started to filter into the ballroom shortly after 7:00 am and we made sure there was plenty of coffee ready to welcome them! It was beautiful. Over 270 guests made the choice to wake up a little earlier that morning and when the program was over, it clearly was a pretty special gathering as people didn’t want to leave. Our Master of Ceremonies, Fred Keating, started the proceedings just after 7:30 am and introduced the Chrysalis Charitable Foundation board chair, Mary Pat Barry to address the crowd. Mary Pat touched on the renewed sense of excitement and shared her story of Chrysalis client, Nicole Chalifoux, who has experienced much success. She persevered and overcame many challenges, never giving up on her goals and dreams. When Mary Pat met her recently she found that Nicole is now engaged to be wed. Nicole was in attendance with her fiance, Danny. This certainly set the tone for the morning. After a short break for breakfast, guests welcomed Chrysalis President and CEO, Lynn Groves Hautmann, to the stage. Lynn delivered a stirring speech about the current state of the organization highlighted by many new and innovative directions Chrysalis has undertaken in the recent past. She thanked those who fought the fires in the Fort McMurray area and hailed them as heroes. She described that the heroes for us at Chrysalis are the clients. She illustrated that living with purpose and meaning is what we strive to achieve for all of the individuals accessing Chrysalis supports. Lynn then introduced our newest corporate video which showcased many amazing stories including some of the really strong volunteer and employment partners we have created with local businesses in and around Edmonton and also gave insight to our programs within the facility. Our video will be available to view online shortly. After the video ended, our new staff member, Jim O’Neill took to the stage and told his tale of his experiences at Chrysalis. He spoke of Justin, a visually impaired client who plays the piano at a hospital for the patients and talked of the happy atmosphere this creates for patients and visitors in the hospital environment. He regaled his fellow staff on the dedication and commitment they have to the individuals with whom they work. Jim then helped Jennica to the stage who gave us a short and beautiful rendition of “Motherless Child,” which captured the hearts of everyone in the room. Suzanne, Jennica’s mother, followed and told us the story of finding Jennica in an orphanage in Romania. Her stories of raising Jennica stirred us all collectively and truly showed everyone the power of love. As the program drew to a close, Chrysalis Charitable Foundation board member, Kim Dingler, wrapped up the program by asking everyone in the room to consider lending their support to the work undertaken by Chrysalis. By the end of the hour, almost $90,000 was raised to support the continued enhancement of the programs and services offered at Chrysalis. Based on numerous conversations with attendees money is not the only thing this event is likely to garner. New volunteers, board members and opportunities for our individuals to find new community supports are all being discussed now that the Gala is over. We cannot thank our donors, sponsors, star donors, staff and volunteers enough for the support they have pledged to our organization! Our program ended at 8:30 am sharp and many lingered, reluctant to break the spell of a morning that seemed to hold a bit of magic. The stories were provocative and touching; Fred Keating, our MC, entertaining; the video, insightful; and, Jennica’s soulful song, haunting. 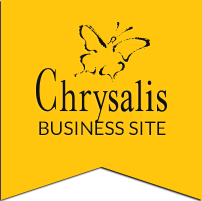 For those in attendance, we thank you so much for being a part of the experience and hope you left feeling moved and inspired and that you learned a bit more about Chrysalis and its impact.